This decade has been a goldmine for new IPs when it comes to racing games. 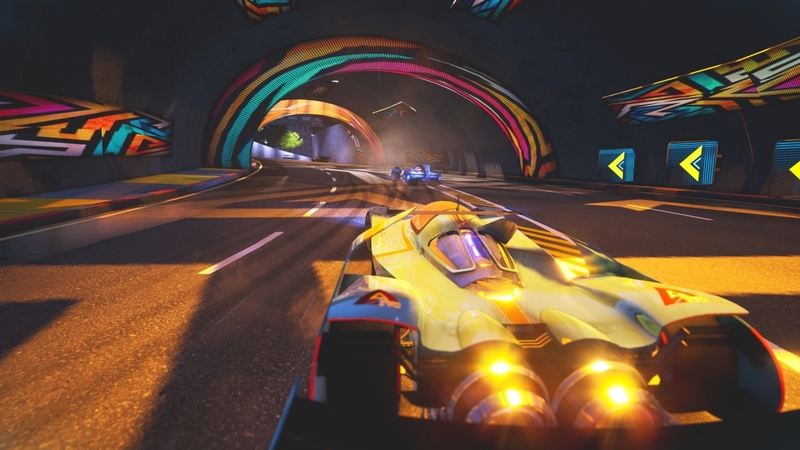 The FAST series brought a taste of F-Zero to Nintendo’s platforms, while Redout has filled the void left by Wipeout and offered up a level of graphical beauty that is largely unmatched in any kind of racing game. One series that hasn’t had any kind of spiritual successor is Ridge Racer, which has been dormant for around a decade now. With that, you had a tremendous drift-based series that allowed for not only quick racing, but also carefully moving your car around the corners and using swift movements to go from position to position. Xenon Racer is heavily drift-based for its racing with a bit of turbo boosting thrown in to offer up a touch of what the F-Zero series did in its heyday. 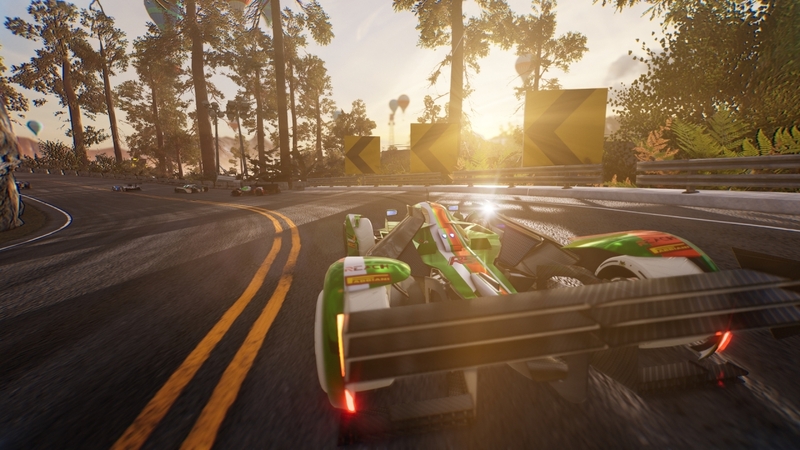 Xenon’s premise is interesting as it’s based around a near-future where hover-based crafts like the one showcased in F-Zero and Wipeout are coming, but organizers want to have one last race on traditional roads. 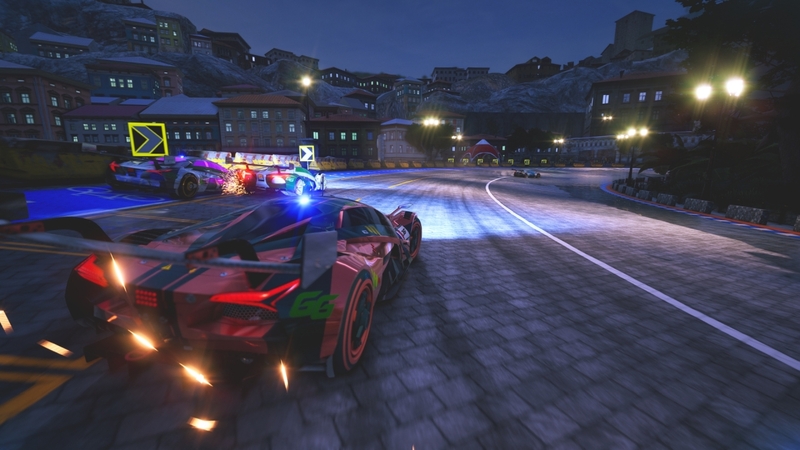 The pre-release hype focused on the various real-world cities being replicated, like Boston and Tokyo, but nothing really showcased the racing action. 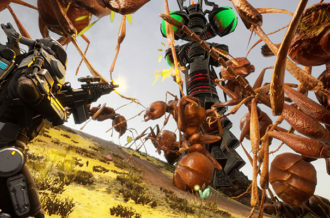 This was both a blessing and a curse because while it led to the game itself gaining some steam, it was hard to get a mental picture of what the core racing would be like until the open beta. There, it was clear that you would need more than just pure racing skill to win as boosting and drifting were keys to success. 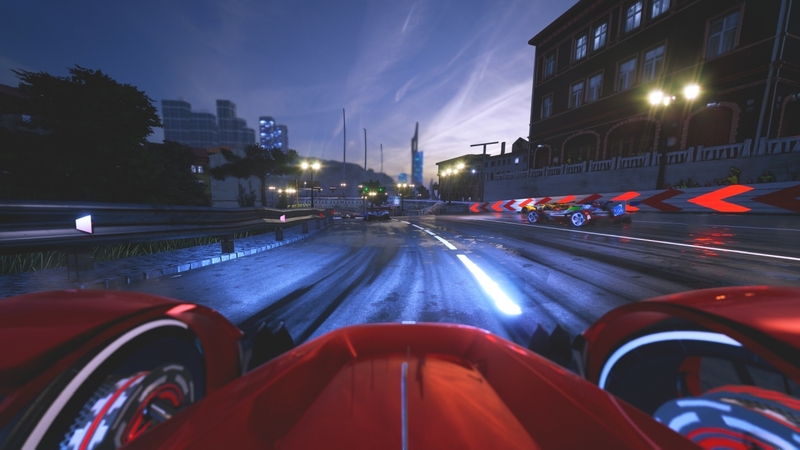 Xenon Racer has one of the steepest learning curves of any racing game in some time — including simulation-inspired games like the Forza series. 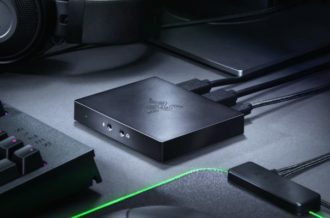 Those generally ease people into the action and while Xenon gives you a tutorial, it doesn’t do a great job of explaining how to blend everything it teaches you together. 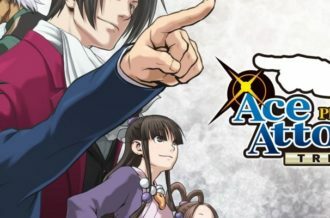 In that sense, it’s nice to see a game not completely hold the player’s hand and leave it up to them to learn at their own pace. Jumping right into the championship mode is possible, but ill-advised. You can either use the practice track endlessly or take part in free races offline or online if you so desire. With many games, you can usually jump right into title contention thanks to difficulty sliders, but not here. Difficulty levels are present, but no matter what you choose, you’re in for the fight of your life. Xenon Racer‘s AI opponents lull players into a false sense of security by taking it easy on you to start. You will excel in the first lap and maybe even finish the first lap with a couple of errors in first place. After this, you start mentally taking it easy and coasting and that’s when enemies throw everything they have at you. It may start with one boosting past or simply nudging you into a wall. Then a stream of enemies will forge on ahead as if they’ve been possessed and you’re suddenly back a few paces. Hope isn’t lost as long as you’re able to see a rival in the distance. You still have the ability to boost, although given that it’s based on building up a battery bar on the bottom of the screen, it may not be active until midway through the second lap. This may seem disastrous until you remember that you can emerge from the back of the pack slowly but surely if you race a careful race. Being careful to avoid damage is one big key so you aren’t stuck respawning and losing a few seconds. You also want to make sure to properly brake, e-brake and drift, because failing to combine all of those things will result in failure. Drifting is done with a careful mix of acceleration and braking, while using the e-brake offers a more extreme drift and may be the only way to nail certain turns. 90 degree turns aren’t uncommon and result in a lot more care — especially if you have enemies on either side of you. Hitting them slows you down, which may work out in your favor if you can quickly shove them into a wall and then boost away. You will get their position and possibly gain more ground if you don’t run into anything along the way. While it’s easy to think of Xenon Racer as just a racing game, with how much you have to keep track of, it’s more akin to a puzzle game in some ways. The core racing feels solid, with each vehicle not only feeling weighty, but also a bit different. The added weight does take some getting used to and you need to really push the stick into the turn in order to nail them, which isn’t going to be to everyone’s liking. 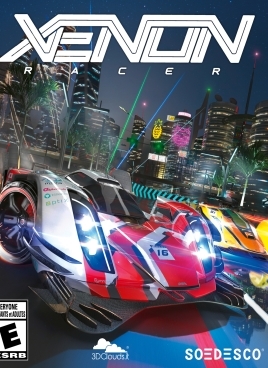 On an objective level, Xenon Racer is a well-crafted and difficult racing game that does keep things challenging at all times, but doesn’t seem to rely on rubber-band AI to remain competitive. If you’re far back on the track, you can’t count on someone else sticking back there to make you feel any better or offer the illusion of progress — you just have to get better at the game to improve your standing. Visually, Xenon Racer is a huge mixed bag. 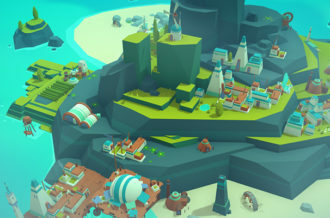 The car models and cityscapes look fairly well-detailed and are impressive at times — but not enough times to make the game as a whole impressive. The surrounding areas for tracks have a lot of copy/paste details like posters and photos while crowds are completely embarrassing in a way that hasn’t been seen in at least a decade. The crowds are 2D sprites that would fit in, and not look good, in a 16-bit sports game and would have been used in an early PS2 game at the latest. Environmental details like rain puddles look nice in still shots, but have no effect on the world as they’re just a texture and don’t move at all when vehicles drive over them. It’s a shame that so little work was put into these kinds of things and it shows a lack of attention to detail. This holds true for things like pop-in during racing or odd hitches when races load up — these small things take you out of the game and make it feel rushed. Xenon Racer’s sound design fares better than its graphics, thankfully. The announcer is enthusiastic when he speaks and adds a touch of ’90s cheese to things. 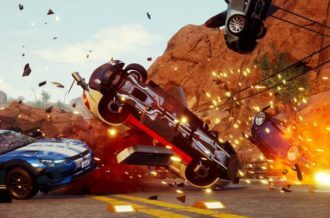 The sound effects for car-on-car action lead to sparks flying and a cool electronic whirring sound that makes it seem like your car is being run ragged — which does play into damage hurting you and leading to being taken out for a bit. The techno music soundtrack is fine, but doesn’t stand out in the game — let alone after a play session. Games like Wipeout used that style of music to build an ambiance, and here, it feels like it’s used because it’s fast-paced and doesn’t really fit the in-game world.